Recovering from a fire can be physically and mentally draining process. When fire strikes, lives are suddenly turned around. Often the hardest part is knowing where to begin and who to contact. 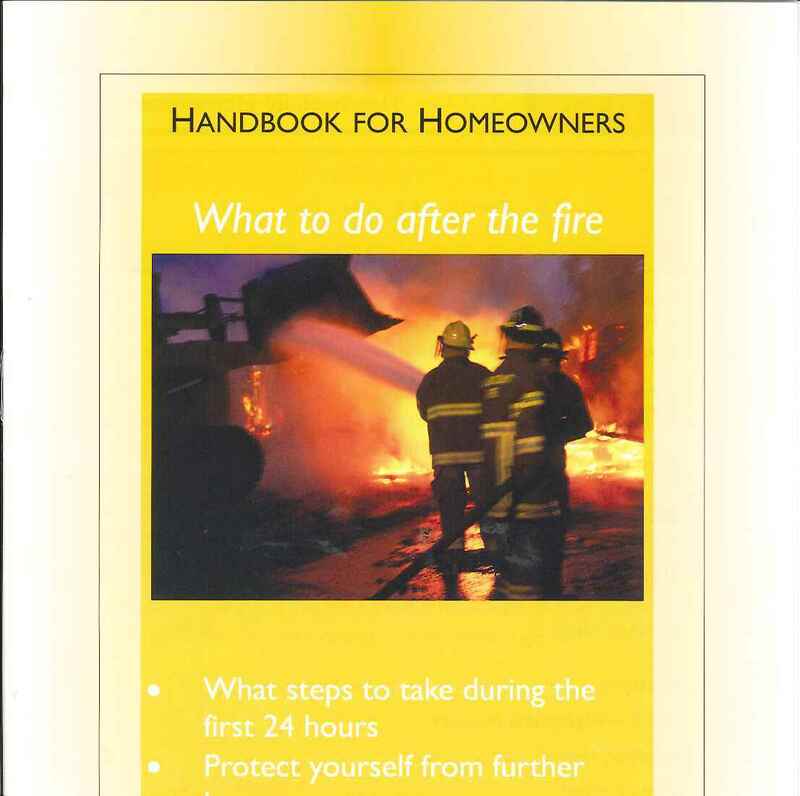 Please use this "Handbook for Homeowners - What to Do After the Fire" produced by the Office of the Fire Commissioner as a guide to be prepared if fire strikes you. DO NOT RE-LIGHT YOUR DEVICE UNTIL …. Chimney has been inspected by the fire department or other qualified person.